Reading "The Christmas Stockings" is sure to become a family tradition. A simple pair of socks brings happiness to a poor little girl and reminds us all that sometimes the simplest things bring the most pleasure. Beautifully illustrated and short enough to read in one sitting, "The Christmas Stockings" is the perfect book to share the true meaning of Christmas with a child or grandchild. Reading "The Christmas Stockings" is sure to become a family tradition. A simple pair of socks brings happiness to a poor little girl and reminds us all that sometimes the simplest things bring the most pleasure. 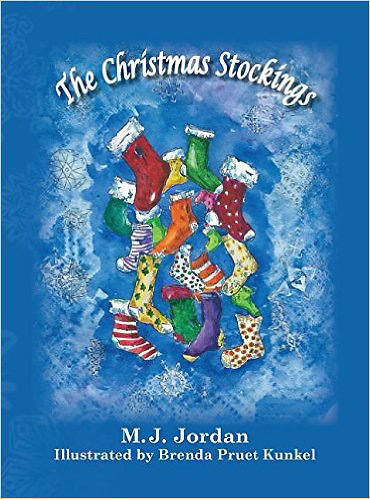 Beautifully illustrated and short enough to read in one sitting, "The Christmas Stockings" is the perfect book to share the true meaning of Christmas with a child or grandchild.